At Radioactive PR, we have lots of experience in supporting start-ups and entrepreneurs with PR. Depending on their needs, our support might be to raise awareness of the brand, help boost a website’s traffic/its SEO through creative PR, build the profile of an entrepreneur/founder, get coverage in media to reach possible investors and plenty of other tactics. I work specifically on new business, so I develop the communications plan and strategy for companies. It’s important for us to know the journey a start-up goes through, as this helps us to make suitable recommendations on what of our support will benefit them. 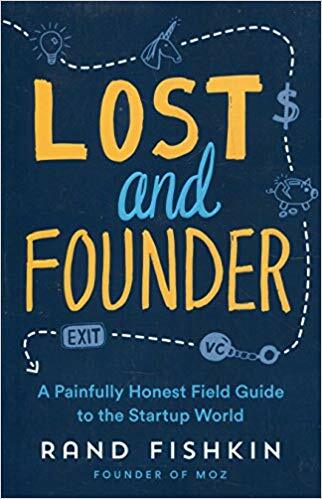 I’ve just read ‘Lost and Founder: A Painfully Honest Field Guide to the Startup World’ by Rand Fishkin, the founder of MOZ, a company that provides SEO software and resources. It’s an honest account of his experience of founding a start-up and he reflects on the highs and the lows. So, if you’re a founder, director or PR person at a start-up, I recommend you read it too. If you don’t have time for that though, here are my five key takeaways. Founders often start a business as they have a passion for an area of business but then, a short time later, end up falling into a leadership and company direction role, meaning they spend little time on their passion. Rand candidly talks about his time as CEO – he says it can be lonely being out of your comfort zone, which is why many CEOs/those in leadership roles can have poor mental health, deal with imposter syndrome etc. Of course, people don’t found start-ups for the struggle, a successful start-up can make founders very rich (at the point of exit, usually) and they can build something based on their vision and values – and the desired result is that they become a visionary known for entrepreneurial success. Quite often the latter will matter just as much, if not more, than the wealth side. The book talks about the unlikely situation where a start-up is founded after a founder heads to college, spends time at different companies, gets an MBA, does analysis to understand gaps in the market and possible audiences, before creating a strong business plan. Often, start-ups are founded on passion before the founder follows the road blindfolded, learning as they go on through experiences and their network’s advice. The struggle may be eased if business is understood better at the outset. Also, it’s good to understand the difference between a product and service business (something that is explained in more detail in the book) – a product business, especially a product business in the sense of a digital product, i.e., a subscription, has a better chance to scale. For that level of scale, investment may be required to grow, meaning the founder is likely to end up with a smaller stake. Rand reflects a lot on times he’s had great, and not so great, employees. The best people make the best businesses and great talent should be invested in. Businesses should hire people that genuinely fit in the company culture and agree with the company values. Rand advises that there should be a diversity among employees (e.g. background, ethnicity) but with agreement on values will make for an open-minded and like-minded team. 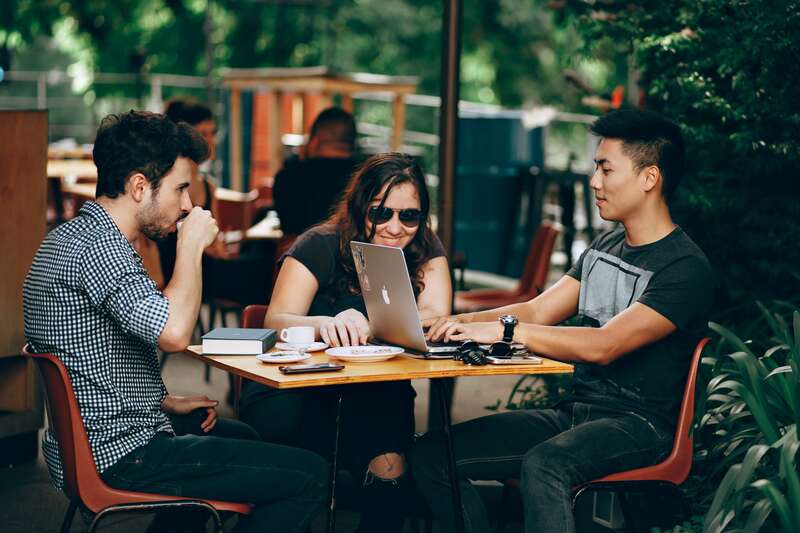 Start-ups should also consider employee roles – not always will someone carrying out the work make a great manager for their next promotion – so it’s worth rewarding those doing the hands-on product work well in other ways, so they stay doing what they do best. A great piece of advice from Rand is that when founding a start-up you should ‘build your expertise before you build your network. Build your network before you build your business’. It’s important to remember that often, your network is key in meeting investors, before pitching for and securing investment. This formula works, as Rand puts it, one thing elegantly leads to another. Of course, you need to spend money to grow, but start-up businesses can be a gamble as out of 10 investments 5 will fail, another three will return an insignificant amount to investors, the final two will deliver the gains to an investment firm. 5. Make smart decisions about spending – don’t lose focus! Businesses must spend money to grow but haemorrhaging it is never wise and can result in super stressed leadership, unsatisfied investors, staff unhappiness and layoffs. Rand reflects on times when, as CEO, he began to plate spin multiple projects and develop new products. The new products were meant to extend the existing offer to current customers and reach new audiences, and the best people were hired to make it happen. The focus was lost and the business’ core areas of strength received less attention, meaning money was spent recklessly and as a result, employees were made redundant. This scenario is the worst outcome, aside from the business folding, so it’s important that leaders do not lose focus and the priority is spent on the fundamental strengths of the business, so that money is spent wisely. Want to know more about what we do for start-ups? We’d love to chat – drop us a line at all@radioactivepr.com or call us on 01452 698765! What should you think about before hiring a PR company?